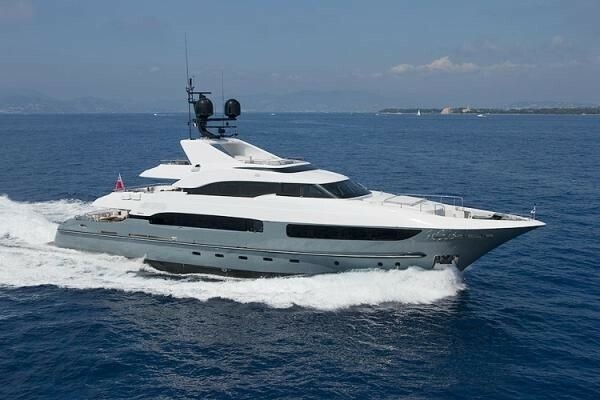 Motor yacht LEGENDA is a 41.10m (134’10’’) luxury vessel built by the Italian shipyard Mondomarine and launched in 2009. Her lovely and spacious interiors were designed by Luca Dini and sleep up to 10 guests in 5 lovely suites. 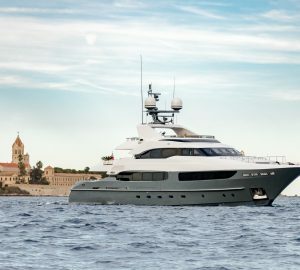 She was refitted in 2015 and has a crew of 7 to ensure a pleasant and relaxing charter vacation. 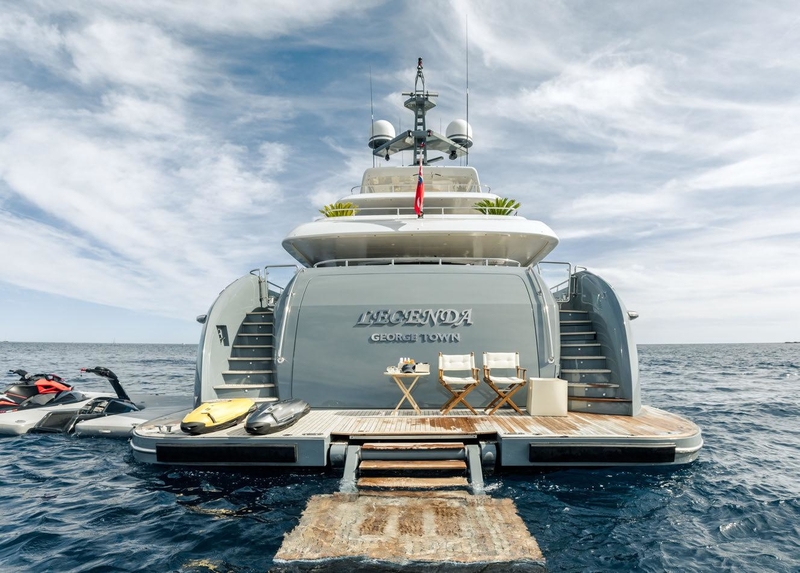 Guests arriving by tender can disembark onto the swim platform and access the main deck aft. Here, an outdoor saloon with a large sofa, armchairs and a coffee table creates a laid-back ambience for drinks and conversation. 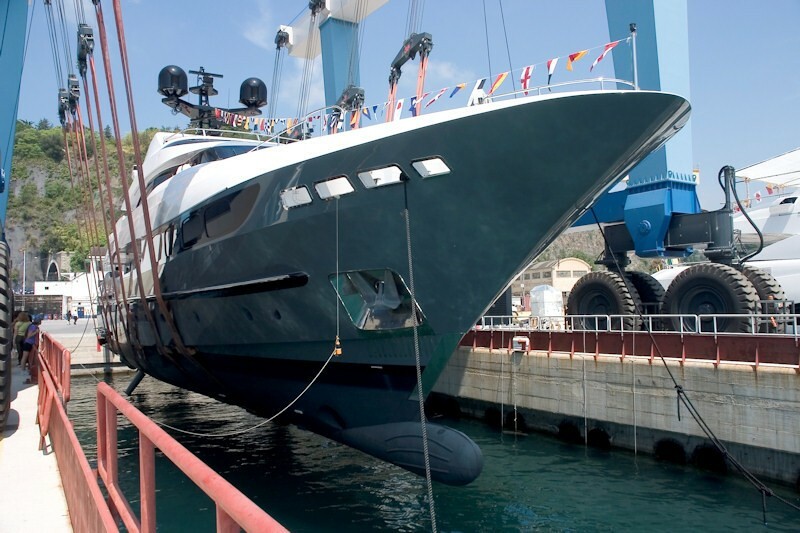 The bow is used for storing an additional tender, which is launched and retrieved using a Davit crane. 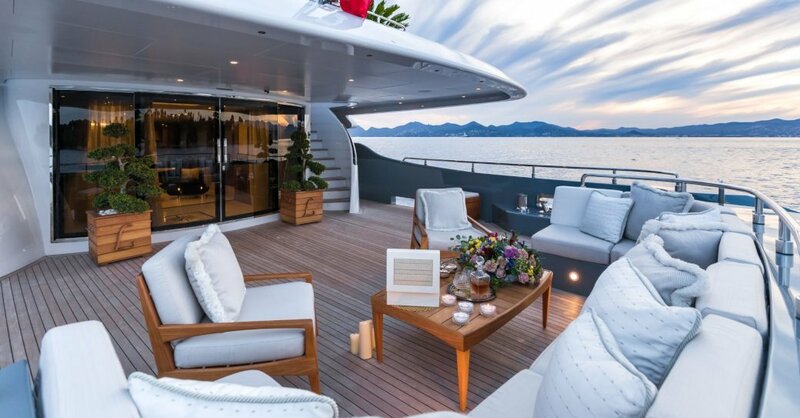 The upper deck aft has a stately alfresco dining table to seat 10 guests in the shade, while a nearby marble bar will provide refreshments to complement the meal. After dinner, guests can remain outside and watch the sunset from the seating along the stern. 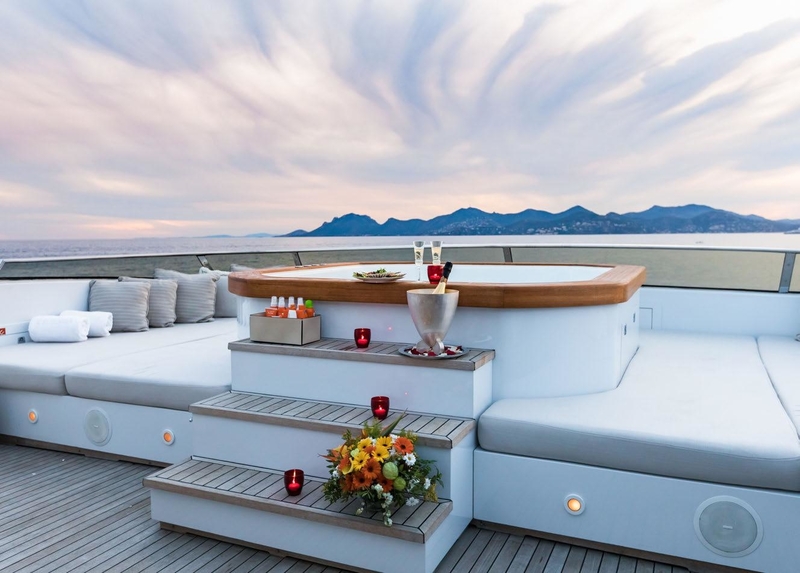 The foredeck offers an alternative place to watch the scenery with a broad spread of sun pads. 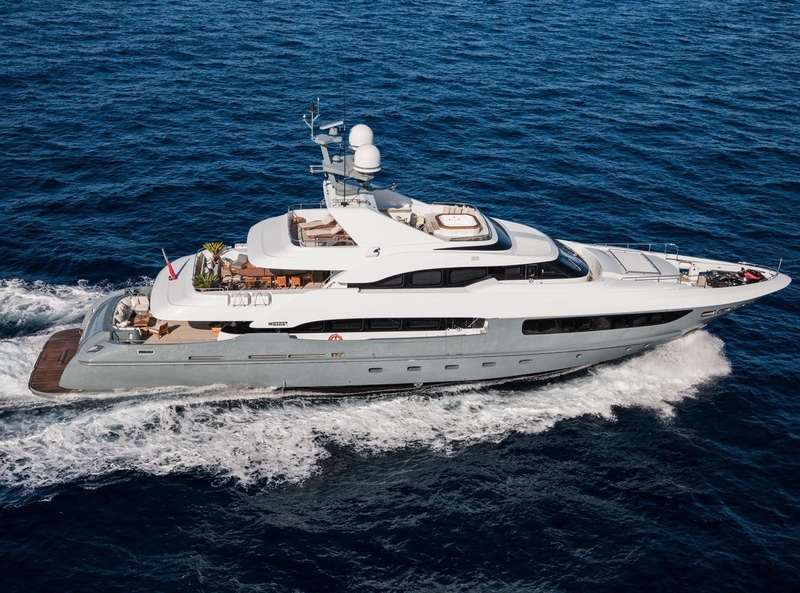 Upon the sundeck, the layout provides an alfresco dining space and bar to the aft and a generous forward Jacuzzi surrounded by sun pads. The lower deck stern is used for tender storage and the engine room is placed aft of centre. 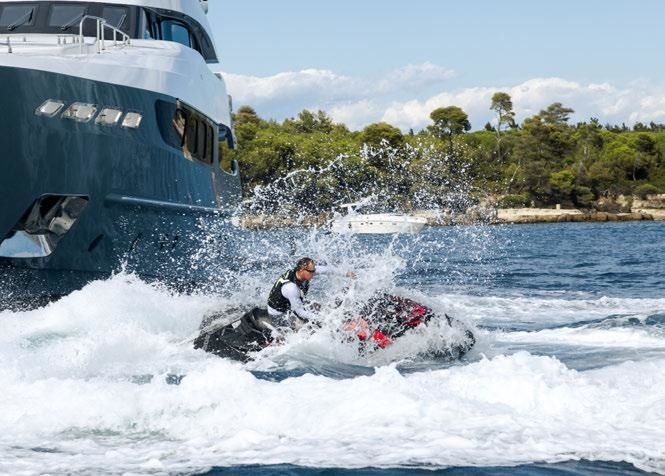 Amidships is the guest accommodation, which consists of two double cabins and two twin cabins, all with en-suite facilities. The forward section hosts the crew accommodation and facilities. 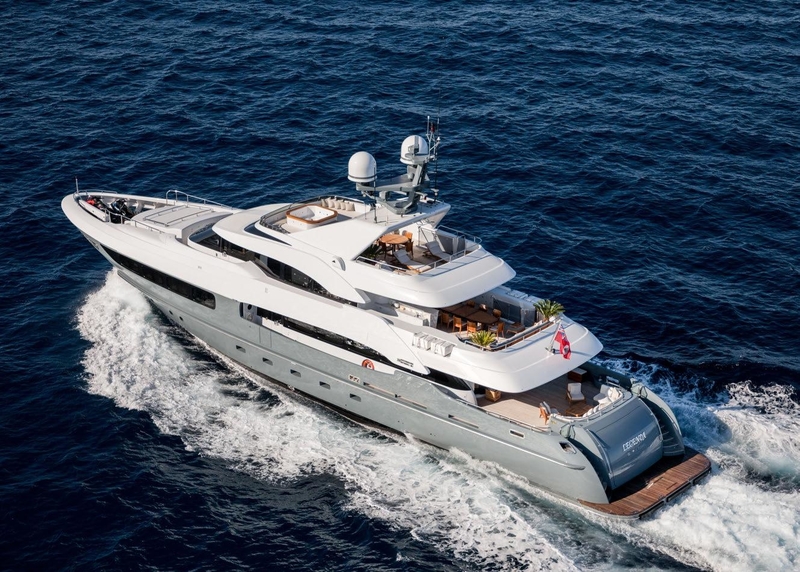 On the main deck, the full-beam Master suite is placed forward and has a spacious en-suite bathroom, walk-in wardrobe and a study and lounge as part of the open-plan suite. To the aft, the formal dining area and main salon occupy the same room with the large table to seat 10 guests placed forward. 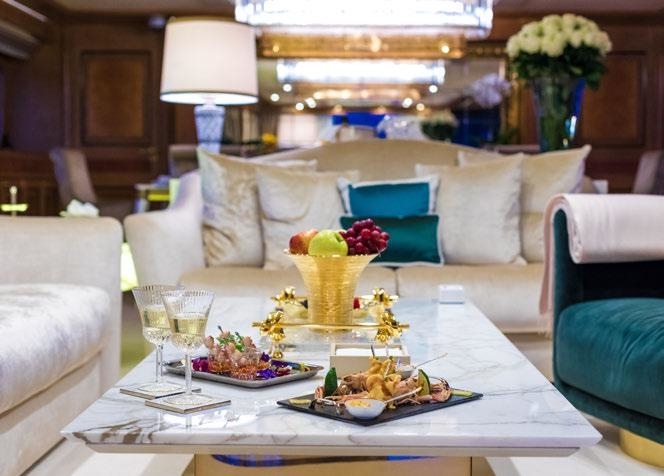 The aft main salon is just as glamorous and offers two large sofas and two plush armchairs with a marble top coffee table, as well as a bar near the glass sliding doors. The helm station is placed on the upper deck and the Captain's cabin is amidships on the port side. 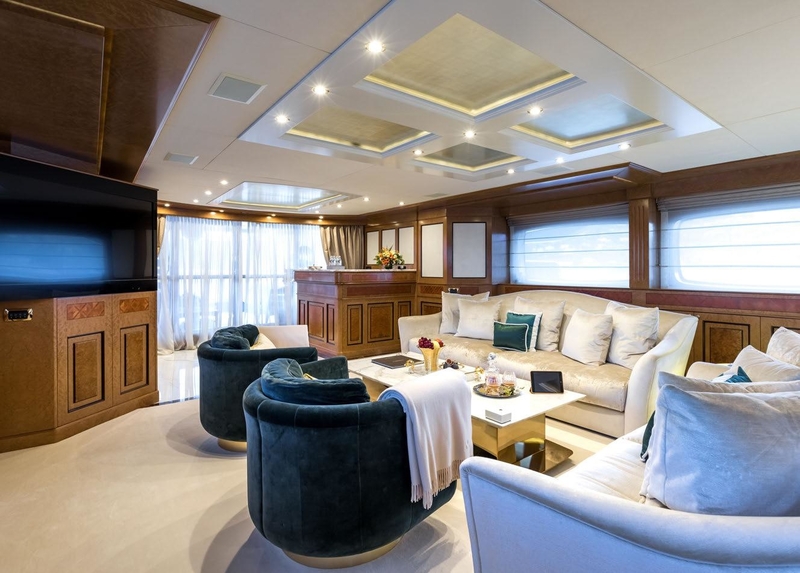 The sky lounge to the aft is ideal for celebrations of spending time together as a family: The port-side seating area is designed for conversation and for a relaxing evening of films. An alcove creates an additional spot for games, reading or study. 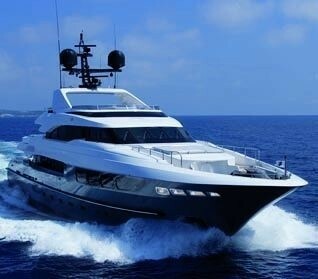 A pair of MTU engines each providing 2,251 HP provides a cruising speed of 17 knots and a top speed of 24 knots. 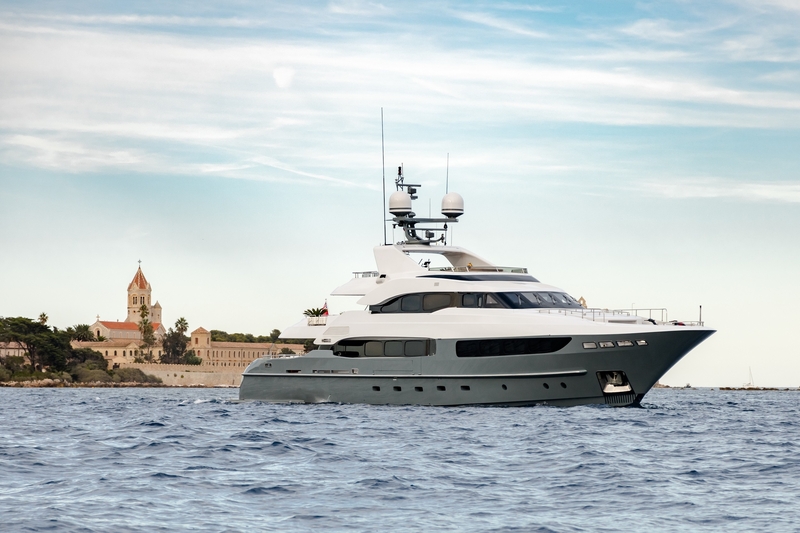 At economical speed, M/Y LEGENDA is capable of a range of 3,200 nautical miles. The accommodation sleeps 10 guests over 5 beautifully appointed cabins: 1 Master suite, 2 double cabins and 2 twin cabins. The four elegant guest cabins are located on the lower deck. 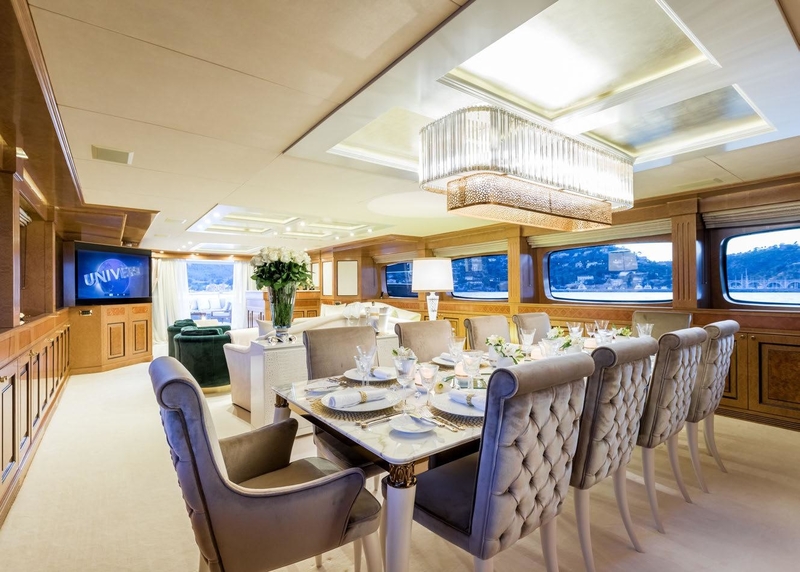 Both double suites spread full beam of the yacht. 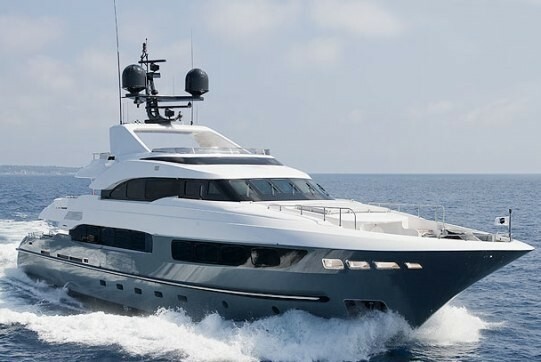 There is a spacious full-beam master suite on the main deck with a Jacuzzi bath and a shower room & heated marble flooring. The professional crew of 7 will ensure that every guest receives excellent service throughout the cruise.